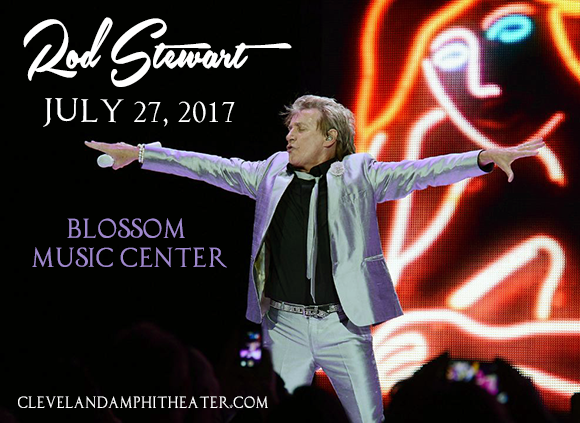 Legendary Rocker – Rod Stewart is taking to the road and bringing his classic anthems to North America on tour in the height of Summer 2017! Get ready to catch him as he performs LIVE at Blossom Music Center on Friday 28th July 2017! "Maggie May" "First Cut Is The Deepest" "I Don't Wanna Talk About It" and "Have You Ever Seen The Rain," are just some of his biggest tracks that you can expect to hear in this unforgettable concert experience – book your tickets today! Sir Rod Stewart is one of the Britan's biggest Rock singer and songwriters of all time. Having sold over 100 million records worldwide, his name has become one of the most famous within the music world. Out of his enormous collection of releases, he has hit number one on 6 of his solo albums and has had an impressive 62 UK hit singles – an accomplishment that only happens once in a blue moon! With his raspy distinctive vocal tone and classic rock guitar based sound, many fans are still in awe of him today, since his debut in the 1960's, right up until 2017, Rod Stewart is still rocking the stage and making the crowd go wild!